As the new year kicks off, there seems little doubt that North America is poised for explosive growth in the emerging cannabis industry. There are several reasons for investor optimism. Let’s examine some of the key events that occurred in 2018 that paint an increasingly bright picture for the cannabis industry as a whole and for cannabis investing in particular. First, the legal status of cannabis increased to include three new states—including the unlikely state of Utah, long known for its conservative leanings. When the November midterm election results were in, Michigan had passed some of the most progressive recreational cannabis laws in the country, and Missouri and Utah passed medical marijuana legislation that allows its citizens access to the much-needed relief medical cannabis provides. Second, United States Attorney General Jeff Sessions resigned, much to the relief of nearly everyone in the cannabis space. Sessions was an outspoken opponent of cannabis and is even on record for saying, “Good people don’t smoke marijuana.” At times during the past two years, he seemed like an insurmountable roadblock to the continued growth of legal marijuana. Third, President Trump signed the 2018 Farm Bill shortly before the end of the year, essentially clearing the way for a legal hemp industry with a strong CBD market. Industrial hemp and related products have huge potential, and hemp was once a vital resource in America, dating back to the colonial era. The potential for hemp as the main ingredient for myriad products and applications is enormous. No doubt there will be a number of issues to iron out with the U.S. Department of Agriculture (USDA) and Food and Drug Administration (USDA), but having the federal government give the green light to hemp is a huge step toward robust growth in an emerging market. Most recently, Oregon House of Representatives Democrat Earl Blumenauer introduced H.R. 420 in early January 2019, a bill that would, among other things, eliminate marijuana as a Schedule 1 drug, allowing research and resulting in the federal government’s recognition of the plant and its legalization on a national level rather than the state-by-state legal status of marijuana to date. The future of this bill will have huge implications for legal cannabis. A variety of other milestones occurred as well. Canada legalized cannabis nationwide beginning in October, providing a wealth of business opportunities in our neighbor country to the north. Worldwide, steps are being taken to legalize cannabis both medically or recreationally, or at the very least decriminalize it. Events like Sessions’ resignation and the farm bill signing caused cannabis stocks to soar, as Americans continue to see fewer obstacles and more normalization happening in the cannabis space. Now more than ever, the U.S. cannabis industry is poised for unprecedented growth. Within the hour after Sessions’ resignation was announced, Nasdaq’s Alternative Harvest ETF rose 5.6. This fund, which bundles tradeable assets for the cannabis industry, rose to a peak share price of $36.97, a gain of nearly $2. At the close of trading for the day, the fund was up more than 7%. The stock of individual cannabis companies saw robust growth as well. As the strong push for legal cannabis continues, showing an increasing amount of bipartisan support among politicians, some speculate that the federal government will address cannabis within the next few years. Investment opportunities are at an all-time high as the country waits to tap into a market that some financial analysts believe will be worth $50 billion by 2026. The potential for strong earning has many people interested in investing. Other industries appear poised for diving into cannabis as well. Both the liquor and tobacco industries seem anxious to jump into the cannabis space. Late last year, the Wine and Spirits Wholesalers of America (WSWA) held a briefing on Capitol Hill urging the federal government to allow states to adopt their own legal cannabis programs. The briefing also included recommendations to state and federal authorities to not allow vertical integration at the state level. The position of the WSWA indicates that the association would like to see liquor distributors take over cannabis distribution. Stocks also rallied in late 2018 when news broke that the Altria Group—parent company to tobacco giant Philip Morris—invested $1.8 billion in the Canadian cannabis producer Cronos Group, taking a 45% stake in the company. Needless to say, Cronos stock spiked. With big things apparently on the horizon for the cannabis industry, U.S. investors are seeing dollar signs, too. Somewhat surprising, former Speaker of the House John Boehner is actively promoting cannabis investments. The republican politician’s strong endorsement of cannabis has some members of his party surprised. In April 2018, Boehner aligned himself with global cannabis company Acreage Holdings and became a member of its advisory board. His active involvement and promotion of legal cannabis has piqued the interest of numerous investors. An October Forbes article details Boehner’s deep involvement with promoting cannabis stocks and his affiliation with the American Cannabis Summit, an investor conference backed by the National Institute of Cannabis Investors. 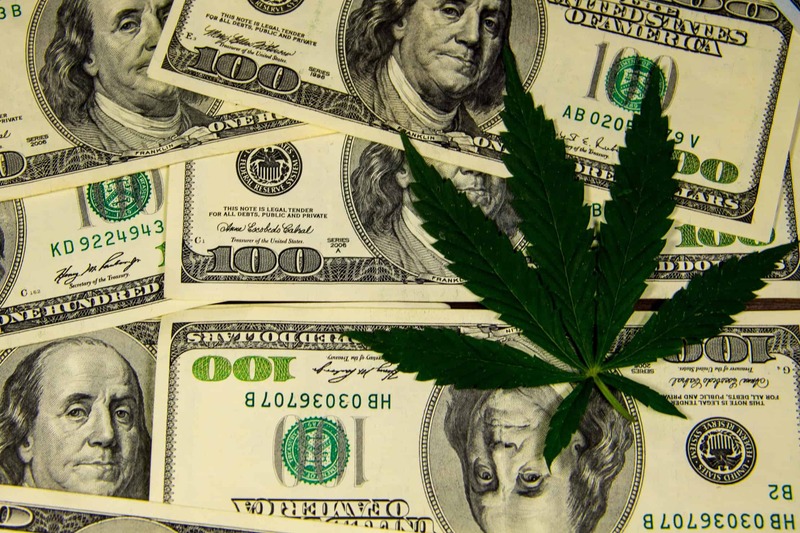 With huge corporations, big names, and big dollars being spent for cannabis interests, even cannabis-investor skeptics are beginning the think that perhaps lucrative revenue in cannabis may not be a pipe dream after all. Adventurous entrepreneurs and former cannabis stock skeptics alike appear ready to dig deep if the push for legal cannabis continues at its current rate. Boehner sees the potential for the cannabis industry to eventually become a trillion-dollar industry. He also predicts that the U.S. federal government will address cannabis legalization within the next five years. Already, financial analysts and advisors are comparing the potential of some key cannabis businesses to companies like Apple, Netflix, and Amazon. Those who get in early could see their investments increase by 10,000% or more. Cannabis companies like Cannagrow, Mentor Capitol, and Med Pharmaceuticals have all seen quick and robust growth that made people rich, and it’s reasonable to assume that there are numerous other companies with excellent growth potential worthy of your consideration as well. Of course, various stock analysts have their favorite company or companies with which to invest for massive payoffs, but, as well know, there is no sure thing. Cannabis investors agree on some common best practices when it comes to buying stock. Most recommend investing in small companies that are well-run and poised for rapid growth. Of course, identifying these companies is easier said than done, which is why the stock market is not for the uninformed or those who lack mental fortitude. Investing in cannabis is like investing in any market—some companies are going to succeed, and others will fail. The cannabis industry remains in its infancy, and there are still many unknown factors that will influence its ultimate success. When investing in cannabis stock, the same rules apply as when investing in any market, regardless of the exciting potential of the cannabis market. This includes ignoring the overall hype of the potential of cannabis. Invest in the company rather than becoming dazzled by the product or market as a whole. Also recognize the risks involved with buying stock and understand that there’s no such thing as a sure deal. Next, and perhaps the most important thing to remember, is to research the market. Do your homework to understand the unique and compelling things the company you’re investing in can bring to the market. Evaluate your options, and choose stock wisely based on an informed decision. Finally, when buying stock, be in it for the long haul. The stock market has ebbs and flows and is not for the faint of heart. Prepare to ride out the possible dip in the stock value that occurs with all stock investments. The future of marijuana investing in the U.S. is brighter than ever before. The outcome of HR 420 and other legislation will add clarity to the cannabis industry and allow people to invest with more certainty. Now more than ever, the potential for huge financial gain looms large. Evaluate the market thoroughly, choose wisely, and invest in innovative companies. Cannabis is here to stay. Good luck, and may prosperity be with you!